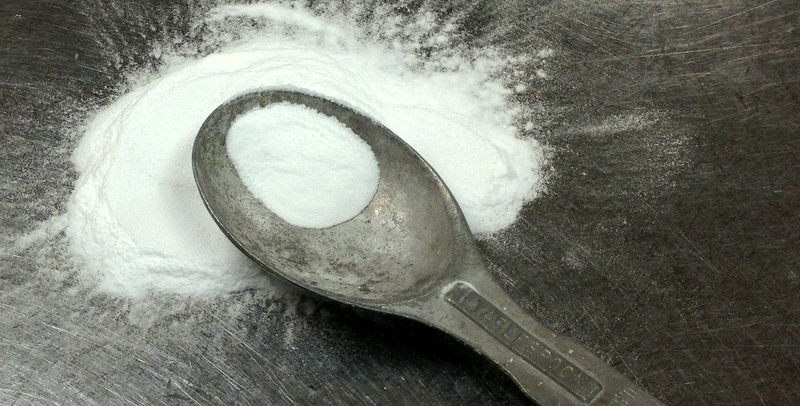 What is Baking Soda? An important leavening ingredient in many food products. Baking soda is a functional ingredient in food preparation and toothpaste. Chemically, baking soda is sodium bicarbonate, which means it has a sodium atom with a nearby HCO3 group, this group is called “Bicarbonate.” This article primarily focuses on Baking Soda in food, if you would like to check out it’s use as toothpaste click here. When baking soda is mixed in water, the atoms separate and carbon dioxide (CO2) is produced as gas. This gas is what causes dough to rise. The CO2 comes from the bicarbonate, HCO3, portion of baking soda. 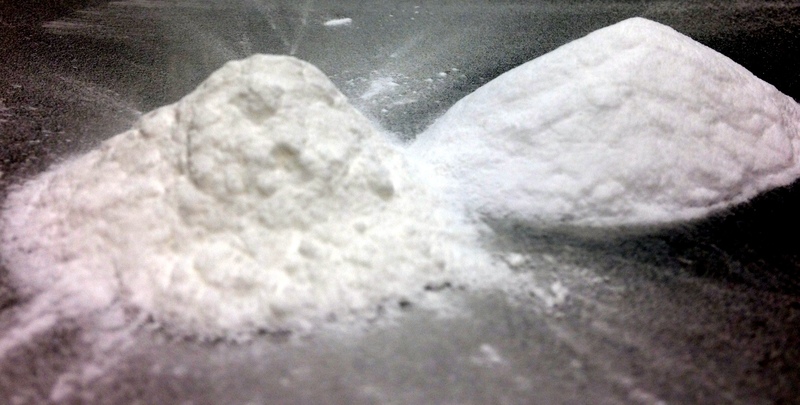 An understanding of baking soda is essential for baking chemically leavened, i.e. with baking soda, baking powder, foods. When using baking soda, be tentative with mixing dough. The more mixing you add to the dough, gas will be released into the air instead of being used in the food. For example, by mixing pancake batter too much, you will have flat pancakes as the gas is released as bubbles during the mixing process, rather than being trapped in the food. Baking soda best produces gas when combined with an acidic food, such as buttermilk. Baking powder already has acid incorporated into the product, and is essentially ½ acid, ¼ baking soda, and ¼ cornstarch. Therefore, baking powder is used in recipes not involving acidic ingredients because it already has the acid. The acid in baking powder helps to lessen the alkaline taste left behind from cooking with baking soda. To learn more about baking soda, we recommend Pyler’s Baking Science and Technology textbook (.pdf), or Corriher’s Cookwise. Tags: Baking powder, Food Understood, How to use baking soda?, Sodium bicarbonate, What does baking soda do?, What is baking powder?, What is Baking Soda made of?, What is baking soda?, What is in baking soda? Is the alkaline taste associated with bases? If so, then chemically, how does baking powder lessen this effect? Yes, Alkaline flavor is associated with bases. In Baking Powder, half of the powder is an acid and reacts with the basic component of baking soda to lessen the total amount of base in the food. As such, there is less of an alkaline taste! Thank you! Please let us know whenever you have further questions!